The North Korean regime is the closest thing to Nazi Germany still in existence. Toppling it would free an enslaved people. There is perhaps no government on Earth that more deserves to be cast into the dustbin of history. Kim Jong Un will have learned the lessons of the Gulf War. Suppose Washington did decide to dispose of the evil thugs in Pyongyang. How would it proceed? It would start by heavily bolstering the amount of military assets within striking distance of North Korea. The problem is that such a massive military mobilization can’t be hidden. North Korea would instantly realize what was up. Pyongyang would certainly have a clear incentive to strike hard and fast knowing it constituted its best chance for survival. Kim would realize his best chance—maybe his only chance—would be to strike with everything in his arsenal at the first sign of a build-up. North Korea would use its nukes. If Washington ever decided it was time to take the regime down, what reason would Pyongyang have from holding back? None. While there is debate whether Kim’s missiles have the range or accuracy to hit the continental U.S., it does seem likely they could hit Seoul or Tokyo—one hell of an atomic parting gift. And it has chemical and biological weapons. Some reports estimate that the regime could possess as much as 5,000 metric tons of chemical weapons. A handful of such weapons launched at Seoul could create a panic not seen since the Sept. 11 terrorist attacks. North Korea could retaliate in many unforeseen ways: North Korean sleeper cells launching Charlie Hebdo style attacks in South Korea or Japan, or armed forces lobbing missiles at areas containing nuclear materials (essentially ballistic “dirty bombs”). And we have not even touched on the estimated cost of rebuilding North Korea, or the fact that China may have strong motives to intervene. North Korea’s leader, Kim Jong-un, has issued increasingly pointed warnings to his subjects about the “poisonous elements of capitalism” crossing China’s border with the North. South Korean intelligence reported hearing that Kim was so shaken by the spread of DVDs of soap operas that he ordered the execution of 10 Worker’s Party officials accused of succumbing to the shows’ allure. But despite a crackdown, the country has seemed unwilling, or unable, to fully dismantle the smuggling networks that bring in not only banned soap operas, movies and K-pop videos, but also much-needed trade. Defectors say the soaps have had an outsize impact, less for their often outlandish plots than their portrayals of the creature comforts of South Korea—a direct contradiction to decades of indoctrination about the inferiority of the South, and capitalism. Most of the border trade is driven by money, defectors said, not ideology, but some defectors and pro-democracy groups also help arrange for the contraband material to be smuggled into the North. “It’s a cat-and-mouse game,” said Chung Kwang-il, a defector, who runs a smuggling operation. Analysts and defectors alike say there are limits to how much outside entertainment can accomplish. A recent study by Seoul National University’s Institute for Peace and Unification of 149 recent defectors showed that more than eight in 10 had been exposed to South Korean movies or songs before fleeing the North. But most of them lived in areas close to China, where it is easier for smugglers to maneuver, and it is unclear how widely such entertainment has spread. Still, the defectors say that the soaps are a potent tool for exposing North Koreans to the outside world. My grandma had made it to South Korea and wired us money through Chinese brokers. The government cannot track where the money is coming from when it is transferred, but they were suspicious of the money so our family was heavily watched. My mom, my sister and I made our escape first. We crossed the Tumen River, walked through China and eventually got on a bus that took us south. Something went wrong in my father’s escape, however. He took a different route and was captured in Mongolia. For North Koreans captured in China, the punishment is not as severe as it is if one is discovered in Mongolia. If a North Korean is seen in China, it is possible that they are just trying to find a job. If one makes it as far as Mongolia, however, it is quite obvious that they are trying to escape. 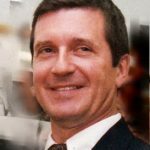 I have not heard from my father since we left (2008), and I do not know how he is doing. One sports a Christian Dior handbag and favors Western clothes. The other carries a notebook and wears dark uniforms. These fashion opposites are the two most influential women in North Korea. While Kim Jong-un’s wife Ri Sol Ju and younger sister Kim Yo-jong are currently allies in sustaining one of the world’s most reclusive leaders, their overlapping influence makes them potential rivals in a regime where family ties aren’t strong enough to protect against Kim’s penchant for purges. 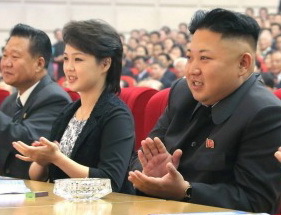 Citing conversations with people who have been in the room with both women at the same time, Michael Madden, editor of the North Korea Leadership Watch blog, said the two appeared friendly to each other as they sat at opposite sides – Ri with her husband and Kim with senior party officials. Kim Jong-un’s wife Ri Sol Ju commands a growing following among the wives of North Korean elite while Kim Yo-jong now holds a senior position in the ruling Workers’ Party and serves as an adviser to her brother. The purge of Jang Song Thaek may have strengthened the hand of Ri with the North Korean elite looking to avoid a similar fate. There are accounts that the wives of North Korean elite used their ties to Ri to “limit the number of officials removed from office due to the Jang purge,” Madden said. In public Ri offers a softer side of the Supreme Leader and has been a regular in North Korean propaganda. In 2005, she traveled to South Korea as a teenage cheerleader for North Korean teams at an athletic competition. Seven years later she was revealed as his wife at an appearance with Kim at an amusement park in July 2012. Still, so little is known about their relationship that it took former NBA star Dennis Rodman to reveal the couple had a child after a trip to Pyongyang in 2013 to play basketball. Rodman told the Guardian newspaper that he held Kim’s daughter Ju-ae and that Kim is a “good dad and has a beautiful family”. Kim Yo-jong chooses to remain in her brother’s shadow at public events. Still, Kim Yo-jong “has a lot of control over who has access to her brother, what they say to him, what documents they hand over – in short, she is a combination gatekeeper and traffic cop,” said Michael Madden, editor of the North Korea Leadership Watch blog. 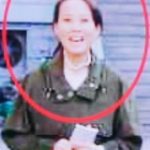 She joined her brother in handing out awards to troops at an air force competition in May and that suggests she commands the party’s Organization and Guidance Department, which handles everything from promotions to purges, Cheong Seong Chang, a senior analyst at the Sejong Institute near Seoul, said in an e-mail. Kim was born to the same Korean-Japanese dancer, Ko Yong Hui, as Kim Jong-un. 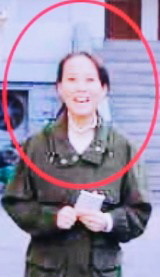 In February 2011 South Korean broadcaster KBS showed what it identified as Kim Yo-jong and her other brother, Kim Jong-chol, enjoying an Eric Clapton concert in Singapore. Yonhap News said January 2 Kim married one of party secretary Choe Ryong Hae’s sons, citing two people in China it didn’t identify and a photo of her wearing a ring. Dong-A Ilbo newspaper rebutted the report days later. In an evident small-scale relaxing of North Korea’s rigid isolation, young leader Kim Jong Un is allowing new kinds of Western and American pop culture symbols to appear in his country, including Mickey Mouse. The regime is also curbing its harsh intolerance of high-tech gadgets and consumer goods, the possession of which could sometimes mean prison or worse. Some 2.4 million North Koreans now subscribe to mobile phones according to Orascom Telecom Media & Technology Holding of Egypt, which provides cell service here. Since mid-2014, phones loaded with high tech games and romance novels have arrived in Pyongyang, the capital. North Koreans can now own Google Android smart phones with 30 foreign games included, even as access to the Internet and 3G is still unavailable. Despite crippling conditions in many places, Kim has expanded the availability of previously forbidden products to a broader swath of the nation’s elite and their offspring in urban areas – partly to placate new generations of Koreans and party to offer perks to regime loyalists the Kim needs support from. Digital cameras, credit cards, and cosmetics – the basics of Western and Chinese consumer culture — are now showing up in one of the world’s most ideologically rigid states. Previously unavailable foreign products, including German beer, shampoo, toothpaste and Japanese mayonnaise are on the increase. Coffee has become a common drink, and some restaurants even serve espresso from Italian espresso machines. The message if not the reality is that daily life is improving for those in urban areas. Yet, food and power shortages remain in much of the country, and a gap has widened between the privileged in the city and those living second-class lives in the countryside. Most ordinary North Koreans can’t afford a camera. Wood-burning steam-powered trucks are still seen running outside Pyongyang. And many people rely on their feet or on hitchhiking for transportation. Gaddafi being killed, after he agreed to decommission his nuclear program, definitely put the USA on the wrong side of the North Korea, which understandably cited the Libyan precedent as justification for why it could never, ever surrender its nuclear weapons. The anti-North Korea financial sanctions are an exercise in nostalgia in the matter of policies, rhetoric, and even actors–and also a bitter reminder of two lost years of US DPRK policy, and the bomb they helped birth. North Korean financial sanctions is truly a matter of Same Sh*t Different Decade, recapitulating and hopefully improving on one of the biggest and at the same time unreported fiascos of American foreign policy: the 2005 attempt to achieve regime change on the cheap against North Korea through covert financial sanctions. I think it’s a good time to lift up the curtain and look at what happened, what didn’t happen, and what was misreported the first time America took a financial swing at North Korea. The U.S. Treasury Department’s FinCEN (Financial Crimes Enforcement Network) operation tracked and blocked drug cartels’ ongoing struggle to launder the immense ocean of cash sloshing out of their operations. Then under Bush, Section 311 of the Patriot Act was generously reinterpreted to exploit its coercive potential by employing FinCEN money laundering investigations against disliked state actors like North Korea. Somebody coined the term “financial waterboarding” to describe the borderline legality and extremity of the tactic. Aggressive North Korea regime change policies moved to the top of the agenda. Ground Zero for the initiative was a small Macau bank, Banco Delta Asia, which had allowed North Korean entities to open some 50 accounts. The U.S. Treasury Department designated BDA as an institution “of primary money-laundering concern” under Section 311, averring that it was suspected of laundering the infamous North Korean “supernotes”—a miraculous counterfeit of the US hundred-dollar note that was virtually indistinguishable from the real thing. To “protect the U.S. financial system”, U.S. financial institutions were instructed not to have dealings with BDA. Result: a run on the bank, and BDA went into receivership in the hands of the Macau financial authorities. Mission accomplished, one might think. … It turned out that BDA routinely sent all its cash deposits over to Hong Kong & Shanghai Bank in Hong Kong for vetting. … But that did not deter the Treasury Department, which ground on with the apparently bogus case. … By the way, despite the US Treasury final rule, Banco Delta Asia is still in business. Kim Jong Un is likely to make his first foreign trip on May 9 as North Korean leader to Moscow where he will be part of Russian celebrations for the 70th anniversary of World War II victory. Russia’s Foreign Minister Sergei Lavrov said Wednesday that North Korea had given a “positive”, response “as a first signal” to an invitation for Kim to attend the anniversary of the Soviet Union’s victory over Nazi Germany. Lavrov told reporters that invitations had been sent “to heads of lots of foreign states, including the Commonwealth of Independent States, BRICS, Shanghai Co-operation Organisation, European Union, member states of the anti-Hitler coalition, heads of international and regional organizations”. South Korean President Park Geun Hye has also been invited and but it remains unclear if she will visit Moscow. If Park and Kim both attend the ceremony in Moscow, the possibility of a meeting between the two archrivals could not be ruled, according to Yonhap news agency. Kim in his New Year speech said he was open to the “highest-level” meeting with South Korea. The peace gesture was reciprocated by Park saying that she was willing to meet with Kim without preconditions while urging North Korea to drop its nuclear pursuit in order for any meeting to produce meaningful progress. Kim has never met any head of state or made foreign trips since he took power after his father, Kim Jong Il, died at the end of 2011. A North Korean defector has spoken out about how he escaped from the world’s most secretive state with his infant son strapped to his back and a cyanide pill in his mouth. New Malden, a suburb in south-west London, is known for its large South Korean population, but few people know about the 600 or so North Korean defectors who have taken refuge in the borough. Choi Joong-Ha had to leave North Korea with his wife Yun-Ah-Jung and one-year-old son Joon Choi in 2004. The country had just come out of a devastating famine that killed almost 3.5m people when he made a comment to his brother about how conditions would not change while the Kim dynasty was in charge. Joong-Ha became so scared that someone would repeat his words and he would be arrested that he made plans to leave. He had been conditioned into such a state of paranoia that he did not tell his wife about the escape. Speaking through a translator, Joong-Ha said: “My wife is another person and I didn’t know what she was thinking. I could not trust her, I could not trust anyone. It is the way the regime works, the way it stays in power. You can only trust yourself. For 12 years Joong-Ha had been in the North Korean army and would, therefore, have been subjected to the most severe punishment if he had been caught trying to leave. Because of this he waded across the river with his son strapped to his back and a cyanide pill in his mouth.